It’s half term and there are school kids everywhere. 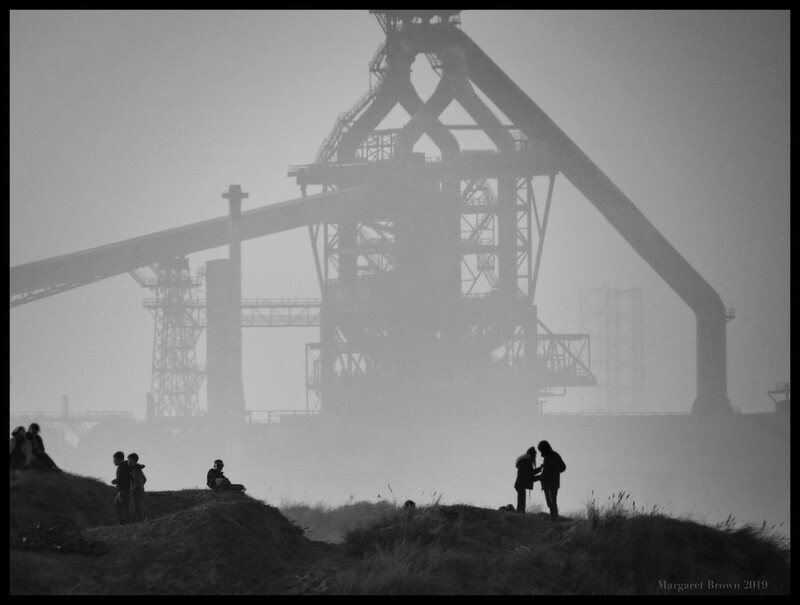 The temps have been mild which is causing a haze, I took this shot this afternoon of a group of teenagers on top of the sand dunes with a backdrop of the old steel foundry. Its huge in the background! Gives a feeling of kids playing around regardless of background! Love this! Seems an interesting commentary. What an incredible scene! Great image! Cool shot. I love the silhouettes. What an interesting picture! FAV! This is super. Love the hazy backdrop.